Directed by Heather Lenz. USA. 2018. 80 min. Trailblazer Yayoi Kusama’s turbulent quest to become a world famous artist is documented in Kusama - Infinity. 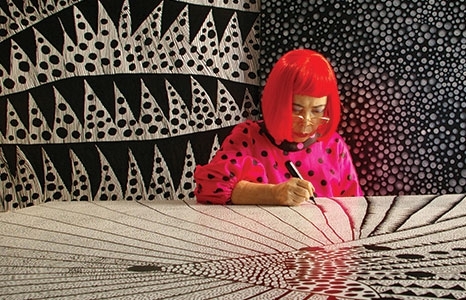 As a rival of Warhol in the ‘60s, Kusama battled sexism and racism in America while her hallucinations of polka dots eventually led her to the Tokyo mental institution she has called home for over 30 years.